HIGH RIVER, AB, Sept. 3, 2013 /CNW/ - The National Hockey League Players' Association (NHLPA) and RBC today announced that $50,000 raised through the RBC Play Hockey Charity Challenge will go towards replacing equipment lost in the June floods that devastated the High River community. The RBC Play Hockey Charity Challenge, held on December 19, 2012 at the Mattamy Athletic Centre in Toronto in front of a sell-out crowd, featured 39 National Hockey League Players' Association members in an exhibition game to benefit grassroots hockey initiatives. "Having witnessed first-hand the devastation the June floods had on this community, there was no question that RBC wanted to stand behind our commitment to help make hockey happen," said Tonya Currie, regional vice-president, RBC Alberta. "We are proud to be working with the NHLPA to help get the kids of Foothills Minor Hockey back on the ice and doing what they love - playing hockey." Today's event featured NHLPA members Matt Stajan, T.J. Galiardi, Derek Smith and Mark Giordano. The professional hockey players handed out the equipment and participated in a friendly ball hockey tournament with members of the Foothills Minor Hockey Association. "It has been a challenging time for everyone in High River, sports being no exception," said Derek Harper, president, Foothills Minor Hockey Association. "On behalf of everyone involved in hockey in our area, from players to parents to coaches and volunteers, I would like to thank the NHLPA and RBC for their generous support of our program." 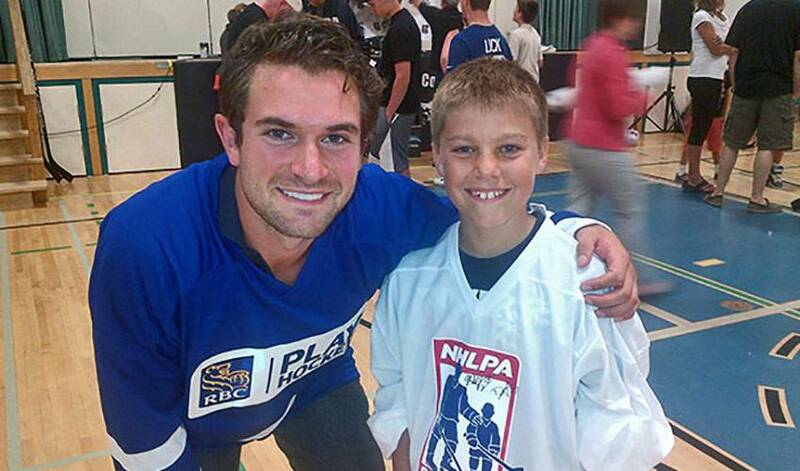 The NHLPA Goals & Dreams fund is the largest grassroots hockey assistance program in the world. Founded in 1999, NHLPA Goals & Dreams has contributed over $21 million to grassroots hockey programs and related causes in more than 30 countries. Through the donation of equipment grants, the program has given more than 60,000 deserving children the opportunity to play hockey and benefit from the sport's commitment to teamwork, discipline and physical fitness. For more information, visit NHLPA.com. RBC Play Hockey is one of the largest corporately funded hockey programs that supports grassroots hockey in communities across North America. To date, RBC has provided more than $1,500,000 in grants to over 120 hockey programs - ranging from learn-to-skate, ball hockey and equipment-sharing programs to reduced registration, access to ice and hockey clinic initiatives. As a premier partner of Hockey Canada, RBC is an official sponsor of the men's and women's national teams, the 2014 IIHF World Junior Championship, and Canada's National Junior A Championship - the RBC Cup. For more information, visit rbcplayhockey.com, follow us on Twitter @RBC.